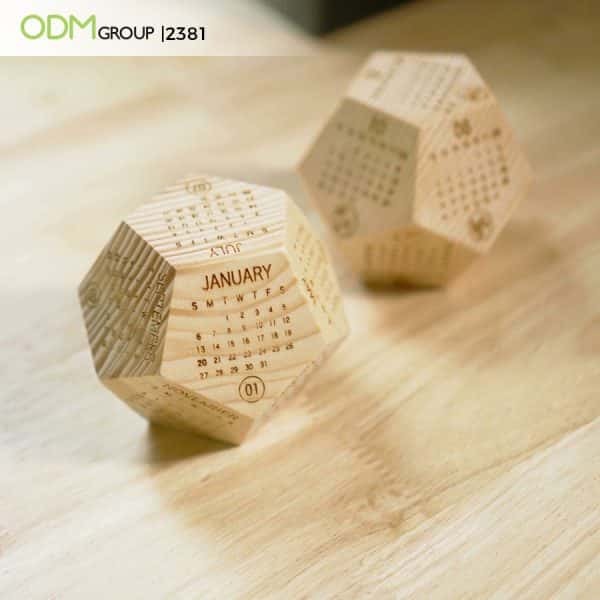 Spend Your Year-End Marketing Budget On A Wooden Cube Calendar! With 2018 coming to an end and with some year-end marketing budget left to spend, why not get a wooden cube calendar for the new year? This calendar can help people keep track of the flow of time while hustling at work. As a wooden promotional product, it is certainly classy and suitable as a corporate gift to show appreciation to your clients and employees! This cube calendar can easily be used as a decorative piece on your table. It adds a modern touch to any room. Also, it is a light item that can be carried around with ease. Hence, you can bring it anywhere you like without hesitation! On a closer look, the cube is similar to a dice – but the cube certainly holds more exoticism. Anyone with this product will surely be intrigued by the design. Why Do We Choose This Wooden Cube Calendar For The Year-End Marketing Budget? Functionality – Having a calendar is an essential thing that everybody should own. With a calendar, people can schedule and plan their day proper. Also, it helps to prioritize daily work which leads to productivity. Hence, the recipient who receives such a gift will certainly see it with high value as the functionality of the item is beneficial. Sophisticated & Minimalistic – Whenever someone presented with a custom promotional gift, the first thing one will look out for is the visual aesthetics. A wooden product also gives off an air of certainty and groundedness. Moreover, being made from wood, it has high durability. 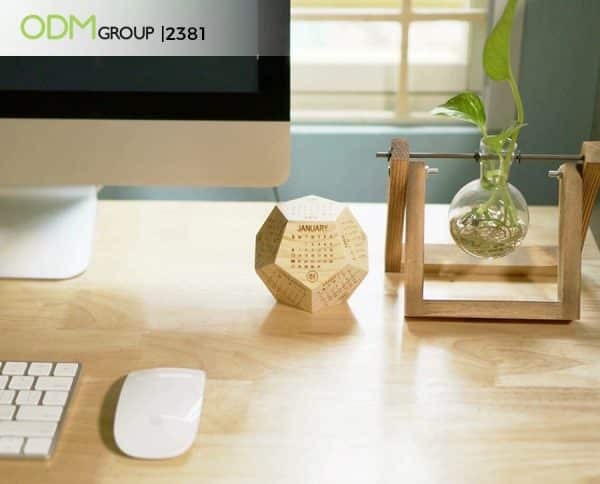 Therefore, a wooden cube calendar will be seen as a high-quality promotional product. High Brand Retention – It is easy to carve and customize your brand logo on the piece of wood. Moreover, with so many faces on the cube, it can reinforce brand recognition with every look – should your logo be on every face. This will be a great tactic for brands to up their awareness game! Overall, the visual representation of a custom product will set the first impression of your brand image so it is important to boost its aesthetic appeal. At ODM, we specialize in product designing, brand packaging design and manufacturing high-quality custom promotional products. Also, at Mindsparkz, we have a team of product designers and merchandisers who can help you from product brainstorming session all the way through the actual sampling and production. Drop us an inquiry today with product code 2381!